Commemorative site, inescapable, authentic and moving! 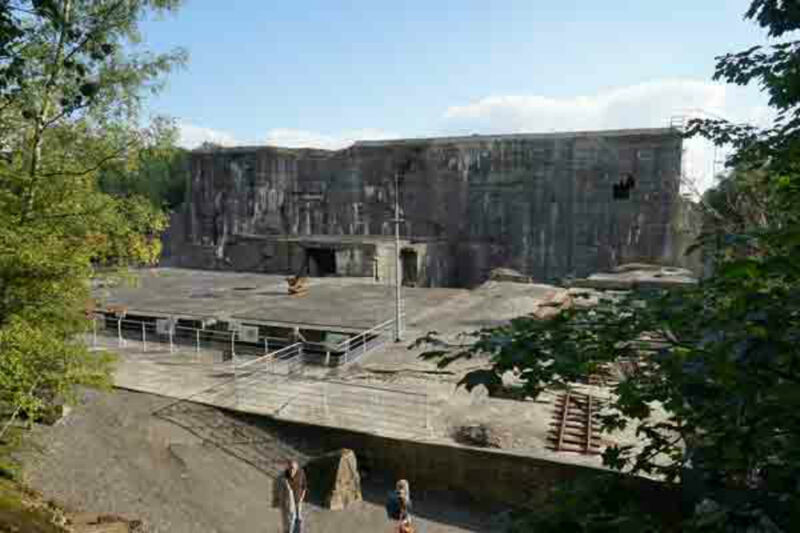 The Bunker of Eperlecques works for Peace today. 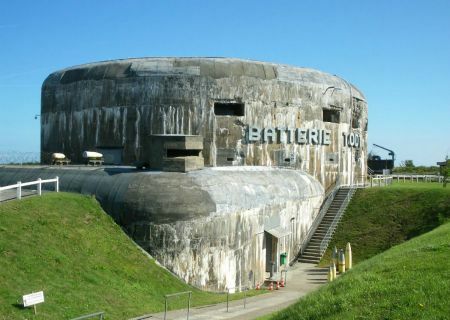 This Mecca of the Second World War is unique and the first Bunker to be classified as "Historic Monument" in 1985. 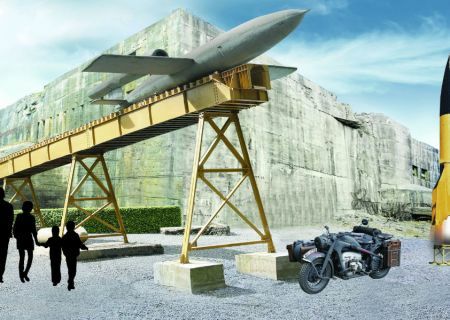 Eperlecques is the only municipality of France where coexist a base of V1 and a base of rockets V2, and Tallboys. At the heart of a wooded park, marked out by sound and visual documents, by military materials, the site remains there not less amazing, magic and terrible at the same time! A striking atmosphere reigns there. 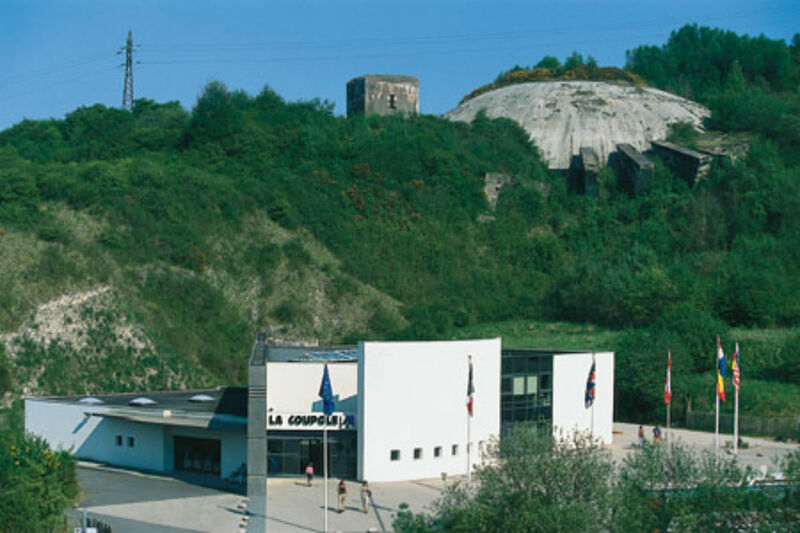 La Coupole, located 5 km from Saint Omer, appears among the most impressive vestiges of the Second World War in Europe. 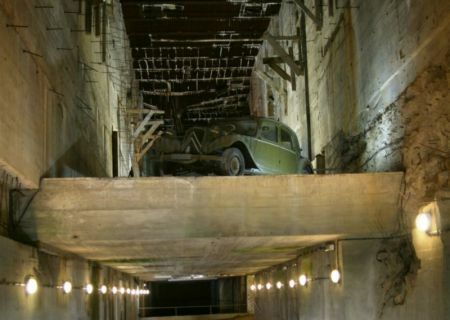 By its overwhelming mass, by the underground character of the installations, by the suffering of the forced workers who built it, it establishes a symbolic place of the Nazi oppression. 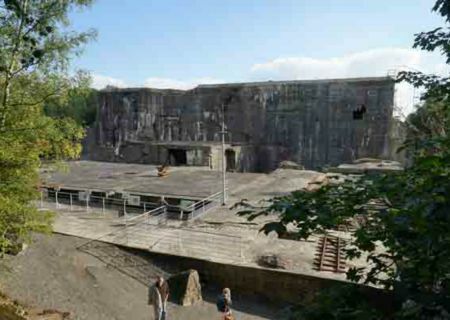 La Forteresse de Mimoyecques, nicknamed also "the canon of London" is one of the most impressive buildings imagined by Hitler, a few kilometers away from the site of Les Deux Caps. 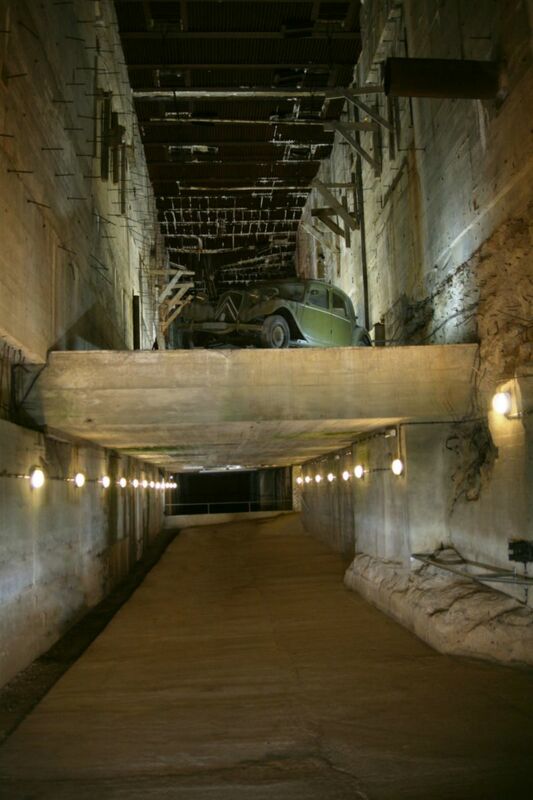 This completely underground base situated near Landrethun-le-Nord, in the village of Mimoyecques, had to be of use to the installation of the standard V3. As all the weapons of reprisals "Vergelstungwaffe", V3 had to bombard England and invert the course of the Second World War. 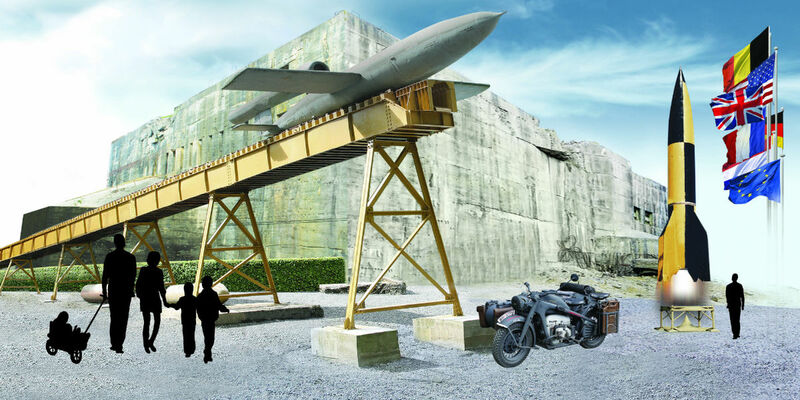 The site was struck by Royal Air Forces on July 6th, 1944, with in particular the huge bombs "Tailboy", ending a major threat to London and the Allies. 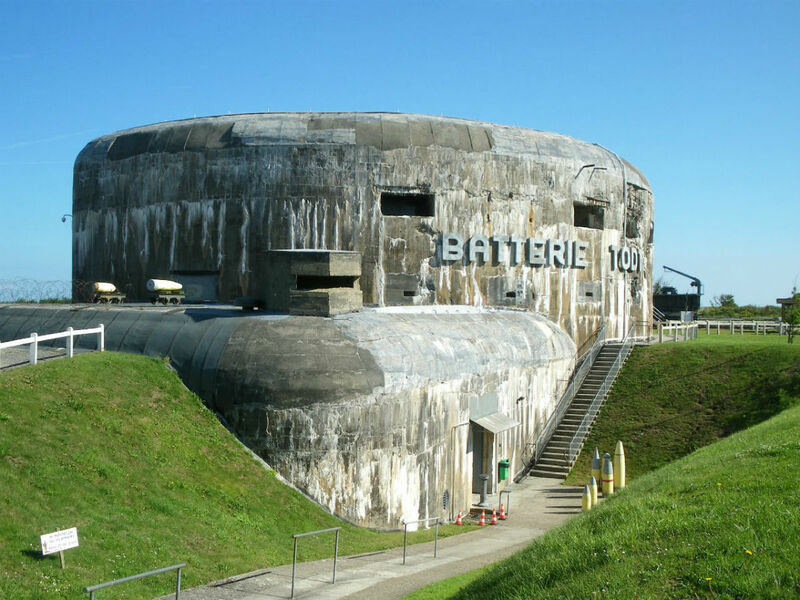 On the coastal road, a few kilometers away from Boulogne-sur-Mer, between Calais and Wimereux, the Historic museum of the Second World War offers on 800 m², a surprising visit of the last world conflict, the campaign of Poland in the surrender of Japan. More than 120 completely equipped soldiers are presented in situation, and thousands of objects are on exposition. A projection of an archive film, in a cinema of the 40s, will make you relive the landing in Normandy. 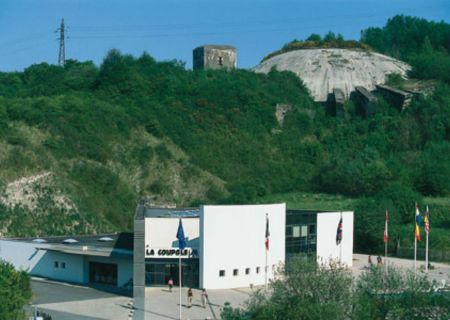 Located in Parc Saint Pierre opposite the City hall of Calais, this museum is the former post of command and transmission of the German Navy where the Museum of the War of Calais is now established. Ypres, 45 minutes from the Campsite, was one of the most devastated cities of the World War I, almost raised to the ground. A few months after the German invasion in Belgium on August 4th, 1914 the battle line stagnated at the medieval town of Ypres. From October, 1914 till October, 1918 the battlefield was near the center of Ypres. 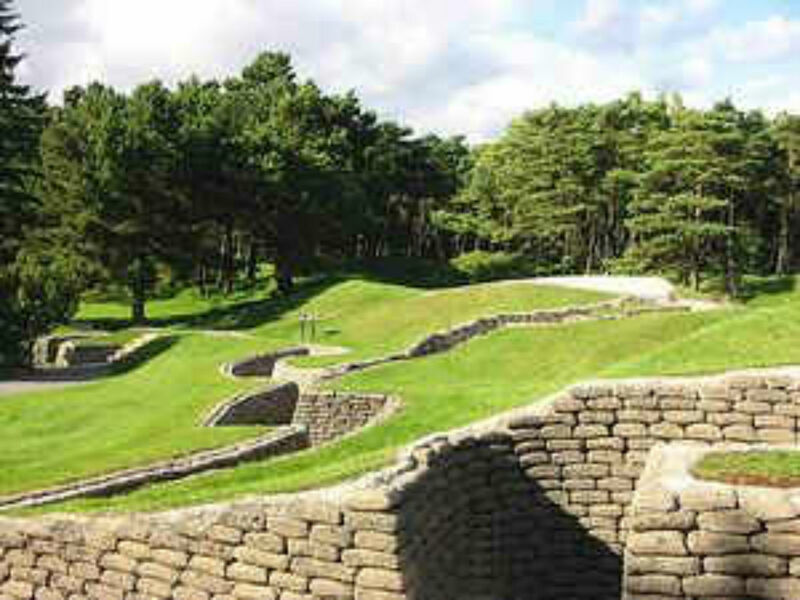 Trenches extended from north to south, describing an arc of a circle around the city. In this famous Ypres Salient took place not less than five bloody battles. This monument represents the most impressive tribute which Canada returned to those of his citizens who fought and gave their life during the World War I. Strategic peaks, offering fantastic views over the former charcoal mounds, the hills of Artois which were repeatedly the frame of violent and bloody fights. The Canadian Memorial of Vimy is the most prestigious Canadian monuments of Europe, becoming Canadian land, "a gift of the French nation to the Canadian people" and symbol of the international history, on which are engraved the names of the victims of the fights. It was raised in the memory of 66,000 young Canadians having given their life here and in France and commemorates the battle of April 9th, 1917. Cemetery and memorial which commemorate the violent fights of 1915, one of the battlefields the most competed between October, 1914 and September, 1915. 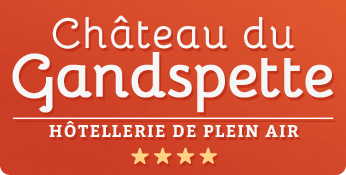 On November 11th, 2014, on the occasion of the centenary of the Great War, was inaugurated a memorial on which are engraved the names of 580,000 soldiers of all the nationalities who died in French Flanders and in Artois between 1914 and 1918. 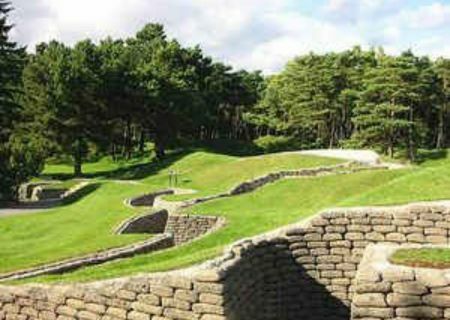 Located in Souchez, at the heart of the Artois battle front, Lens ' 14 - 18 Centre d’Histoire Guerre et Paix presents the World War I on the ground of the North and Pas-de-Calais. The international centre proposes an exceptional collection of iconographic documents: livened up maps, letters, photos of archives, movies of old times and symbolic objects from the whole world. The points of view of the various belligerent parties on the fronts of Artois and French Flanders are expressed: Germans, French people, British, Belgians and other. More than 300 photos presented in large format help in the understanding and illustrate the offensives, archive films immerse the visitors in World War I.